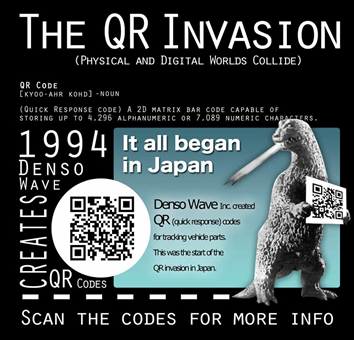 From “Who’s Really Scanning All Those QR Codes?” Infographic Via Mashable. Marketers optimistic about QR codes. 65% of US smartphone users have seen a QR code and marketers get the most value out of QR codes when placed on a product, in magazines, on a coupon or newspaper ad. Via eMarketer. Measuring influence in the digital age: Impressions, likes and followers. Public Relations and Social Media measurement guru Katie Paine offers 4 tips on measuring what matters in social media. Via PRSA Public Relations Tactics. Frito-Lay Adds 1.5 million Facebook fans in a single day. Impressive publicity stunt, but maybe they need to read Katie’s post above :). Via AdWeek. Feeling insecure about your business social media involvement? Check out the social media maturity model for perspective from Vanessa DiMauro. Via Leader Networks Blog. Content as an appreciating asset. 5 considerations for a content marketing strategy ranging from orientation to cost to promotion for content that appreciates in value. Via Econsultancy. Google Dissolves Search Group Internally, Now Called “Knowledge”. Is Google getting out of the search business? Nah, it’s just a reflection of a change from “Organizing the world’s information” to “facilitating the creation of knowledge”. It remains to be seen if the corporate tagline will change as well. Via TechCrunch. 4 Out of Every 10 Consumers Talk About the Brands They Like & Dislike To Others. This new study “Shopitudes: Brand Loyalty and Engagement in the Social Media Age” reports the affluent are most influential and the group most likely to Follow on Twitter and like brands on Facebook? Families with children. Via Crowd Science Blog. May 24th – @TopRank will be at BlogWorld Expo in New York May 24th presenting on how to dominate your niche with Social SEO & Blogging. Last year’s BWE presentation by @TopRank was PACKED and this year’s presentation will offer new examples and tactics. Hope to see you there.